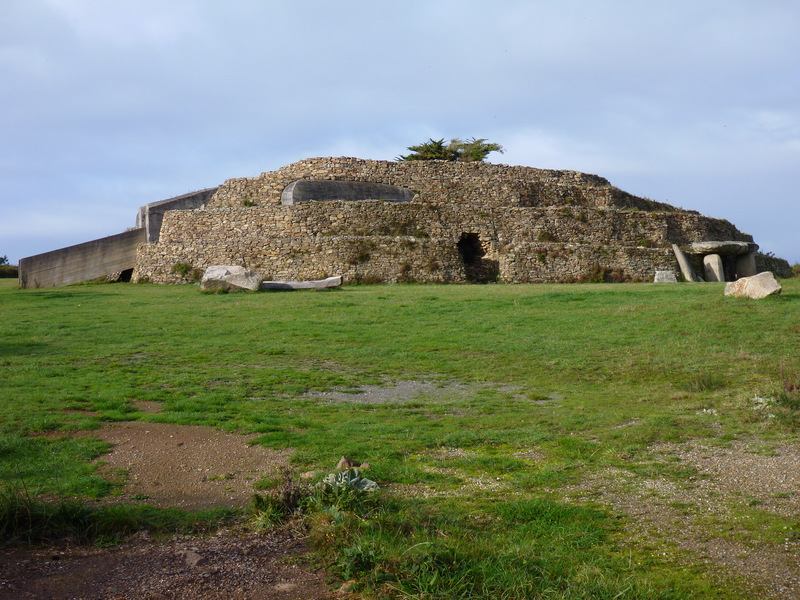 The cairn Petit Mont at Arzon at the entrance to the Golfe du Morbihan can be traced back more than six and a half thousand years. 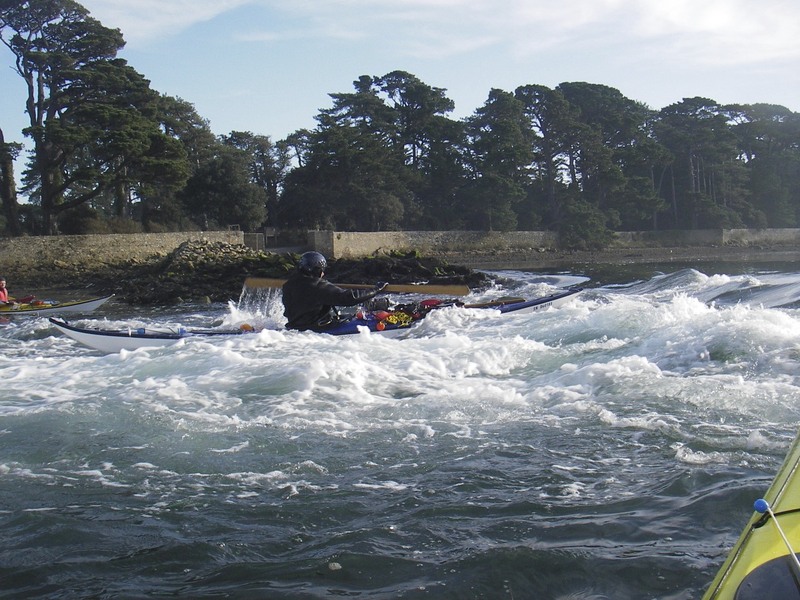 Paddling on the Golfe du Morbihan is always a pleasure, the picture below shows Île Berder at low tide (coefficient 102) The lower ledge linking the island (on left ) is the cill which the flood flows over creating another tidal playspot. 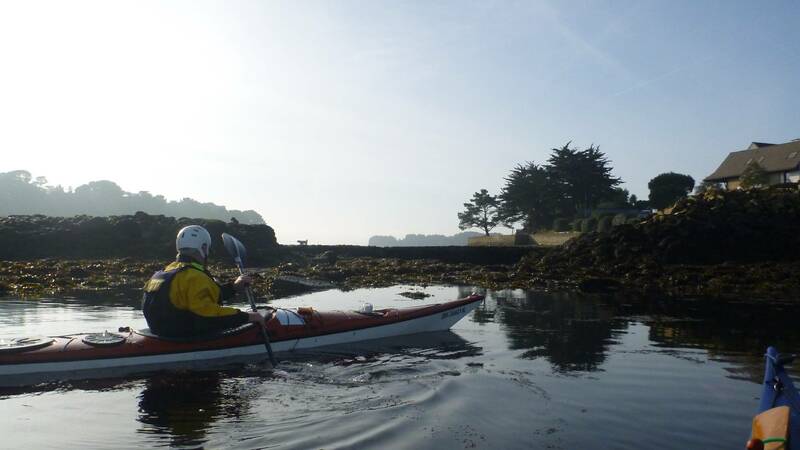 Unfortunately some repair work on the cill last year incorporated a general tidy up of the sea bed which has left it quite flat and featureless, the knock on effect is the loss of the two standing waves that formed on the higher spring tides. 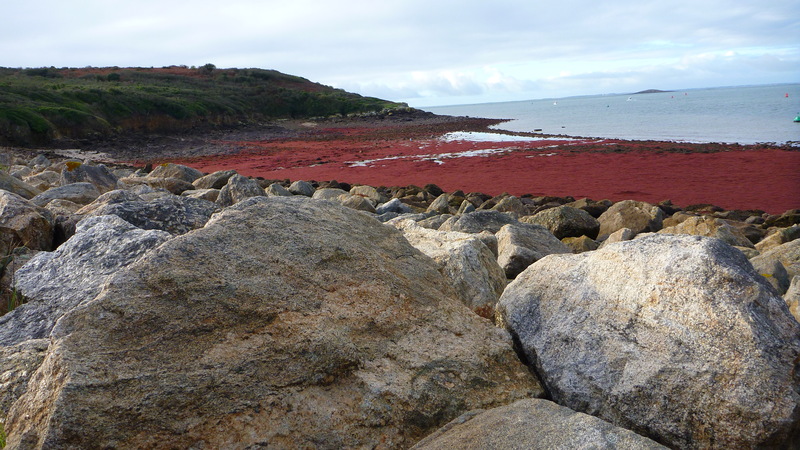 Outside the Golfe, this beach was covered in this bright red seaweed, I can never remember seeing it in such abundance, I’m now believing that the unusually warm weather we are having at the moment may well be the cause…. this afternoons temperature was 14° C 27th November!